He was the “new good-looking” Ken that would <swoon> talk to you, and in 1970 I was listening! 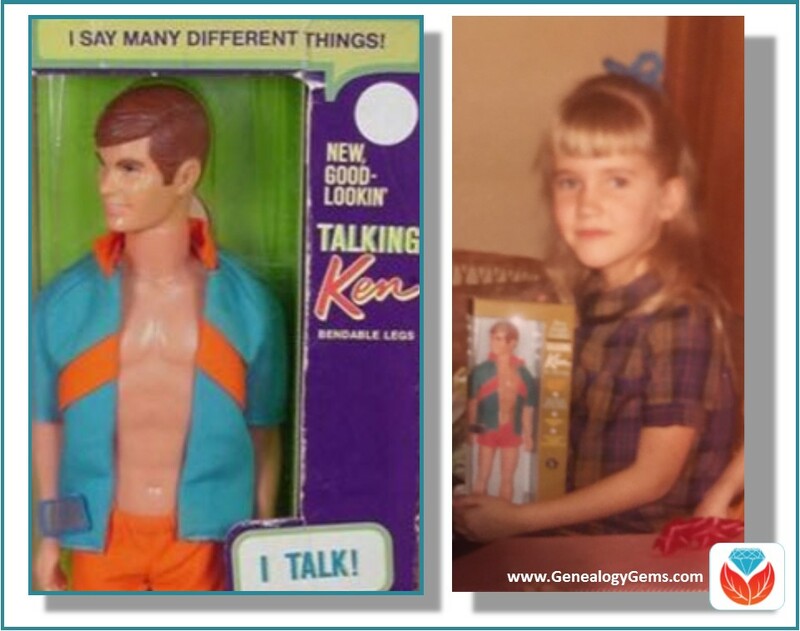 What did your Ken say to you? We’ve all got stories to tell. This summer “say many different things” about your family history to your kids. Have fun with it, and help them understand that they are part of something bigger. This is a great idea. 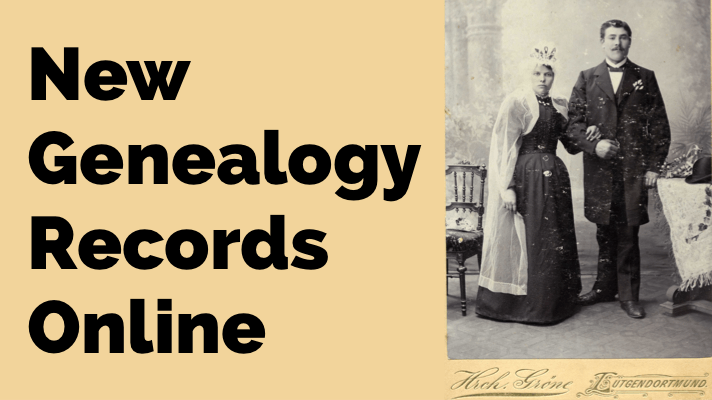 We are all so used to our families “tuning us out” when we get going on a new genealogical discovery. You can almost hear them saying, “Here she goes again!”. But I recently found a captive audience in my grandchildren, ages 4-9. At that age they are like little sponges, anxious to hear and learn. They are always saying, “Granny, tell us a story about when you were little!” Well, I eventually ran out of these “when I was little” stories, and needed fresh material. Suddenly I realized I could make the stories about our ancestors into tales that these kids could be fascinated by, and at the same time, instill an interest in ancestry in my grandchildren’s minds that might make THEM be the ones who would value all the genealogical material that I eventually leave behind. Now, when asked for a story, I tell them about the guy who came from Scotland in 1775 to find himself in the middle of a war, the woman who had her farm in Georgia destroyed by soldiers during Sherman’s March to the Sea, the family who took part in a land rush in Oklahoma, or many other ancestors’ stories I have discovered along the way. At the end of the story, I always say, “And that man got married to X, and they had X, who got married to X, and they had X, etc., going down through the generations until we get to me, the children’s parents, and eventually the children themselves. The grandchildren love that part, and start reciting the genealogy along with me when it gets down to the relatives they know. 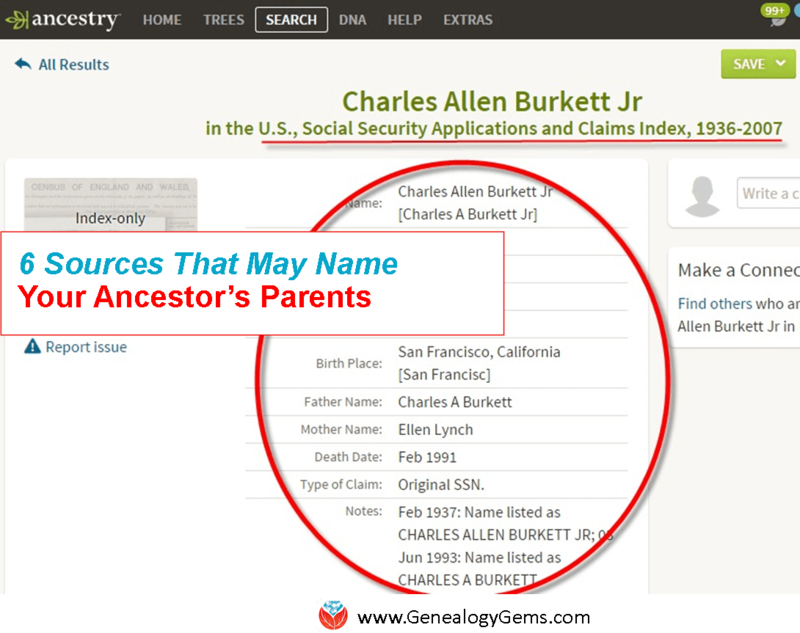 Finally I have the genealogy audience I always wished for, and the grandkids have also learned some history! I’m so delighted you stopped by and shared. Your stories will not only help them appreciate their legacy, but also most certainly see their place in American history which will certainly help them academically in the future.